Where the hell, er, heck, is Fred Savage? 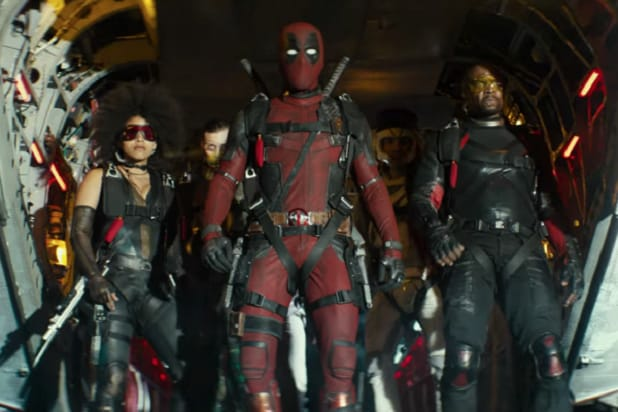 “You’re in a PG-13 version of ‘Deadpool,’ — filtered through the prism of childlike innocence,” Ryan Reynolds, in full Deadpool costume, tells Savage in the new trailer for “Once Upon a Deadpool,” with the now-adult actor back in the same bed he sat in for the 1987 flick “The Princess Bride.” You know, the movie he starred in as a child. “And nobody does childlike innocence like you Fred — nobody,” the Merc with the Mouth tells Savage, as he prepares to read him a reimagined version of “Deadpool 2,” appropriate for (almost) all ages. OK, great, but why has he been kidnapped for this?!? Don’t worry, Savage gets him back by telling Reynolds he “kinda prefers” Marvel movies. But, Reynolds reminds him “Deadpool” is a Marvel movie. “Once Upon a Deadpool” will feature a take on “The Princess Bride” as a framing device, with Deadpool reading a storybook to an all-grown-up Savage, still resting in a child’s bed and a Chicago Bears jersey just as in the interstitial scenes to Rob Reiner’s ’80s classic. The film will have a limited theatrical run that starts on Dec. 12 and runs through Christmas Eve. The R-rated sequel to “Deadpool,” directed by David Leitch and starring Josh Brolin, Zazie Beetz and Julian Dennison, pulled in $734.2 million for Fox earlier this year behind an 83 percent Fresh score on Rotten Tomatoes.